So basically, if you knowingly steal or attempt to steal something that isn’t yours, you’ve committed theft in Florida. But it’s the value of the goods stolen determines the degree of the crime. Petit theft is the lowest level charge for theft in Florida. If you steal property that is valued at less than $100, you’ll be charged with petit theft in the second degree, which is a misdemeanor offense. The maximum punishment is up to 60 days in jail, and a fine of up to $500. If you steal property that is valued at more than $100 and less than $300 you’ll be charged with petit theft in the first degree, which is also a misdemeanor offense. If convicted the maximum punishment is up to one year in jail, and a fine of up to $1,000. Grand theft is a felony offense with much harsher punishments. And unfortunately, if you steal any property valued at more than $300 you’re looking at grand theft charges. If you steal property that is valued at more than $300 but less than $20,000 you will be charged with grand theft in the third degree, which is a felony. The maximum punishment is up to 5 years in prison, 5 years of probation, and a fine of up to $5,000. If you steal property that is valued at more than $20,000 but less than $100,00, you’ll be charged with grand theft in the second degree, which is a felony. The maximum punishment is up to 15 years in prison, 15 years probation, and up to a $10,000 fine. If you steal property valued at $100,000 or more, you’ll be charged with grand theft in the first degree, which is a felony. The maximum punishment is up to 30 years in prison, and a fine of up to $10,000. Lack of Intent - If the defendant had a good faith belief that he she owned the property, had a possessory interest in the property, or had a joint ownership interest in the property, this will serve as a complete defense to the charge. Mistake of Fact – If the defendant was under the mistaken belief that the property he took was his own. More often than not, theft, (especially petit theft) is a cry for help, not the act of a hardened criminal. If you’ve been arrested on theft charges, give our office a call so that we can listen to your story and talk about the best course of action for you. One mistake should never have the power to ruin your life, and we’re here to help make sure of that. 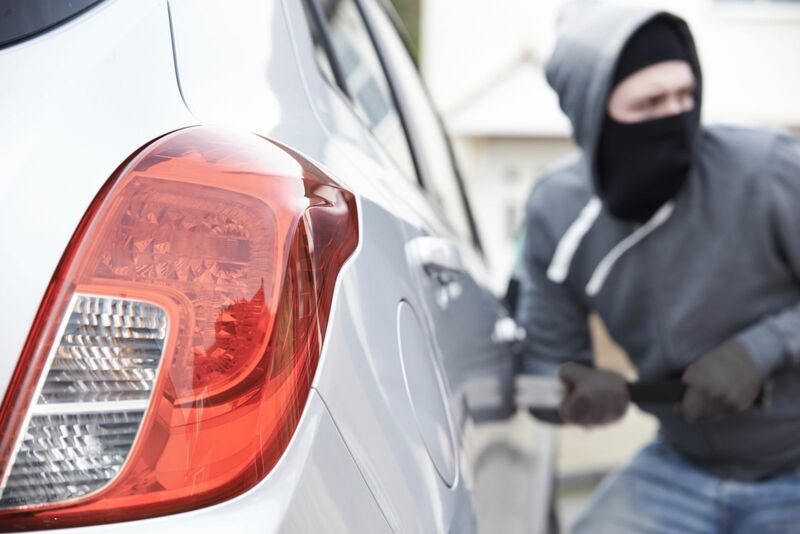 We’ve successfully handled many different types of theft charges and are confident we can give you the aggressive defense you deserve. For more information on theft, check out our frequently asked questions page. In late 2015 as I shopped at a local Walmart, I was assaulted and detained by a cop-wanna-be LPO (Loss Prevention Officer) accused and charged with petit theft. Knowing that you are innocent and proving it in court, as we all know, are two different things. This is where Mr. Rossen, the attorney that I retained, comes into the picture. Through his relentless perseverance, from questioning the prosecution's star witness through the depositions taken, and the subpoena he requested (which the judge originally refused), a different judge was assigned to my case, he tried again and the subpoena was granted. Mr. Rossen took the time to drive to the scene of "the incident" to take pictures as we were building our case, he left no stone unturned. After an agonizing ordeal, without a trial, the case was dismissed. Needless to say, it was the best outcome possible, although I never told Adam personally, he restored my life back to normal. And for this, I am forever thankful, and for his skills, perseverance, and dedication to his profession.